following step by step instructions. Cost is $19.00 plus tax. This is an adults only event. Feel free to bring your own snacks and drinks, sorry no alcohol allowed. A Non-Refundable Deposit is required to reserve your seat. Deposits can be paid online by clicking the link below. The $10 deposit will be applied to the total cost of the class. 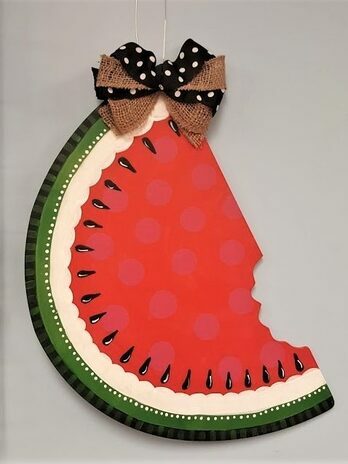 Come in and paint either this large (18") wooden watermelon or flip flop door hanger perfect for Summer. 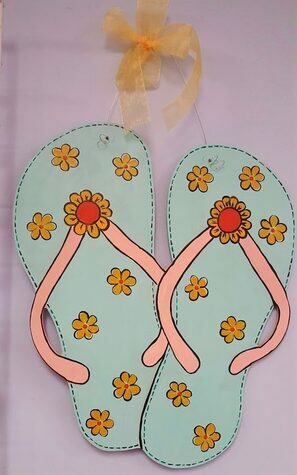 Price includes all supplies, including ribbon and wire hanger. 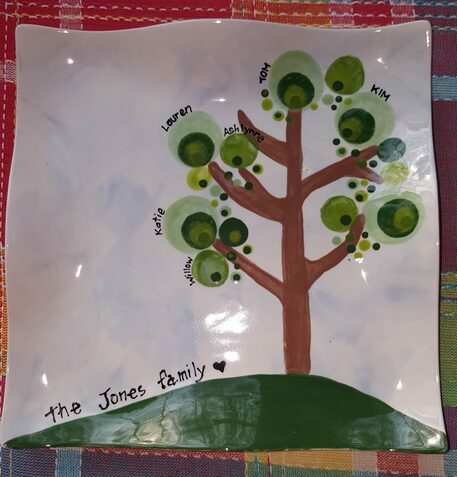 Cost is $25.00 plus tax. This is an adults only event. Deposits can be paid online by clicking the appropriate link below.